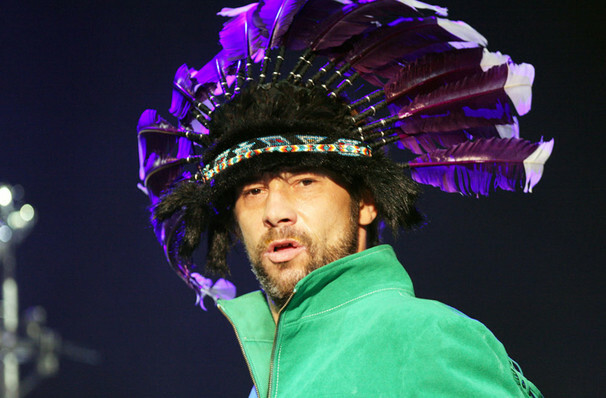 Combustible ball of funky energy, and wearer of outrageous hats, Jay Kay leads his band Jamiroquai across the US on tour. Formed in England in 1992, Jamiroquai blend soul, pop, jazz and dance music into an irresistible mix which has seen them sell over 35 million records worldwide. They really broke America with their 1996 single 'Virtual Insanity', whose groundbreaking music video directed by Jonathan Glazer won a Grammy and four MTV Music Video Awards. 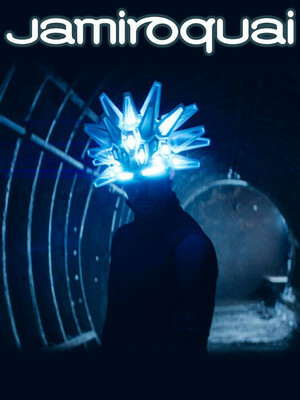 Catch Jay Kay and the crew live for an energized, vibrant concert, and expect to hear other Jamiroquai classics like 'Cosmic Girl,' 'Deeper Underground,' Canned Heat,' 'Blue Skies,' and many more. Sound good to you? Share this page on social media and let your friends know about Jamiroquai at Bill Graham Civic Auditorium. Please note: The term Bill Graham Civic Auditorium and/or Jamiroquai as well as all associated graphics, logos, and/or other trademarks, tradenames or copyrights are the property of the Bill Graham Civic Auditorium and/or Jamiroquai and are used herein for factual descriptive purposes only. We are in no way associated with or authorized by the Bill Graham Civic Auditorium and/or Jamiroquai and neither that entity nor any of its affiliates have licensed or endorsed us to sell tickets, goods and or services in conjunction with their events.